To successfully create, manage, and protect information systems and technologies, you must first understand their use within social, cultural, and organizational contexts. As a Master of Information Science (M.I.S.) student, you will take a holistic approach to information science, working in the space where information, technology, and people intersect. 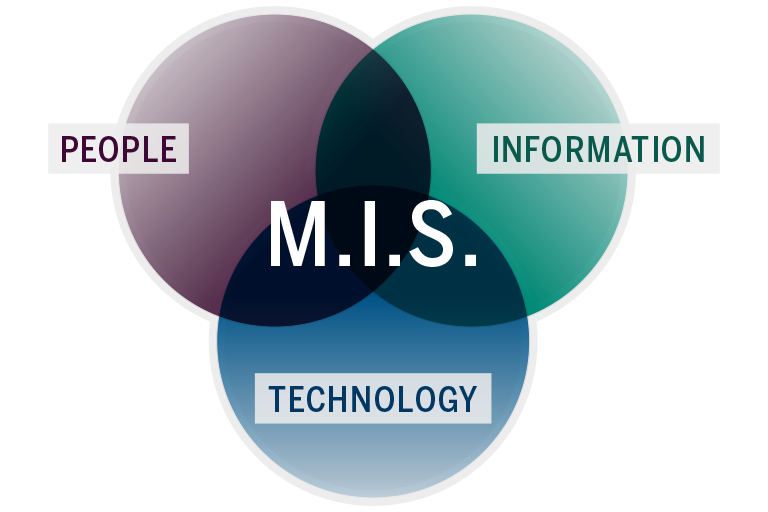 From IT leadership, system analysis and design to information architecture, user experience design, and everything in between, your M.I.S. education will prepare you for a successful career designing, managing, and consulting about information and communication technologies (ICT). The M.I.S. degree is accredited by the American Library Association (ALA). Evaluating the user needs and business objectives of a local non-profit’s website and redesigning it from the perspective of an information architect. Combining user experience design with intelligence studies to solve complex problems within a government, academic, or non-profit setting. Under the guidance of our accomplished faculty, you’ll learn the fundamentals of information science—from database design and information architecture to organizational informatics. The program couples best-practices training in the management and use of ICT with exposure to current information management and systems research. Strong emphasis is placed on the socio-technical, cultural, policy, and ethical issues involved in designing and developing ICT, in addition to the essential career development skills—including written and oral communication, team building, analysis, and critical thinking—that are necessary for assuming management positions in business, nonprofit, academic, and government organizations. To build expertise in the field of your choosing, you’ll also have the opportunity to specialize in one of seven different knowledge domains, including information technology leadership, front-end development, data science, and digital humanities. In addition to working closely with experienced M.I.S. faculty during your coursework and research, you’ll be assigned a faculty advisor as soon as you’re admitted into the program. Your advisor will help you build your course schedule each semester to ensure that your courses match your evolving academic and professional interests. Want to earn two degrees instead of one? Add an M.L.S. to your M.I.S.